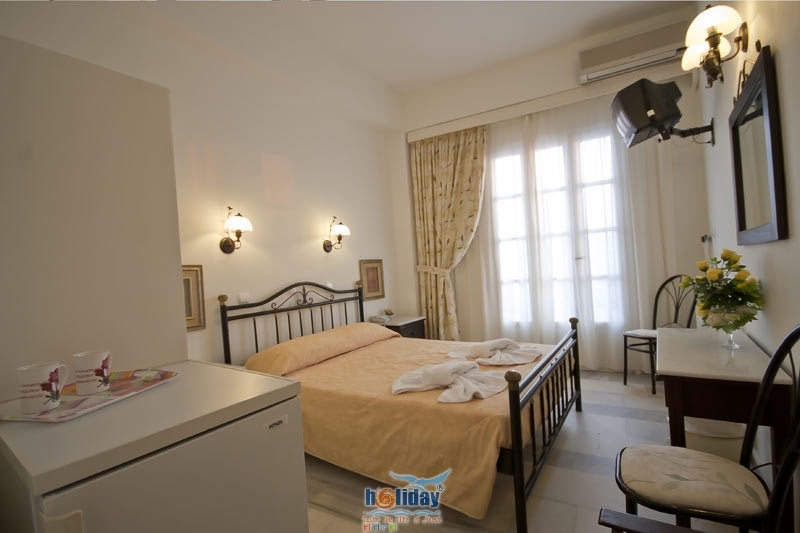 Hotel Kymata is situated at Saint George Beach in Naxos Town in Naxos Island, only 30 metres from the beautiful long sandy beach and 250 metres from seafront, where most of the rooms to offer a beautiful view to both Saint George Beach and the port. 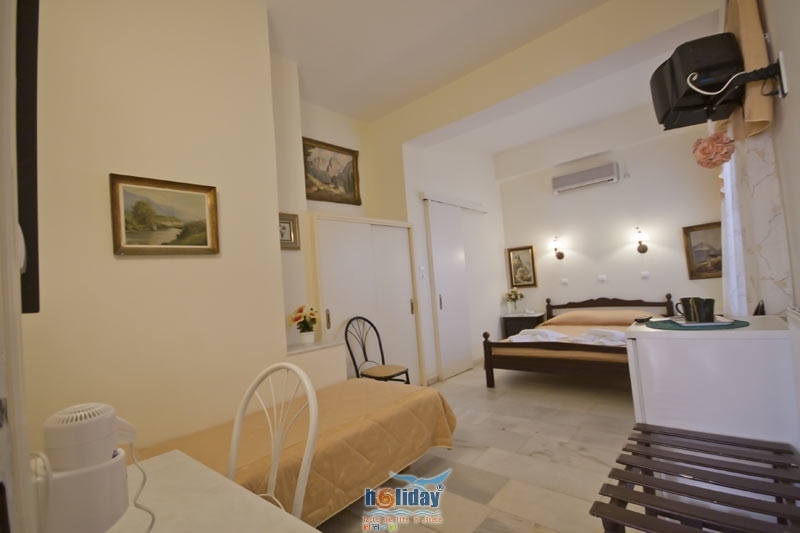 The hotel is also located right next to all amenities such as restaurants, beach bars, car rentals, mini markets and newsagents to make an easy going vacation. 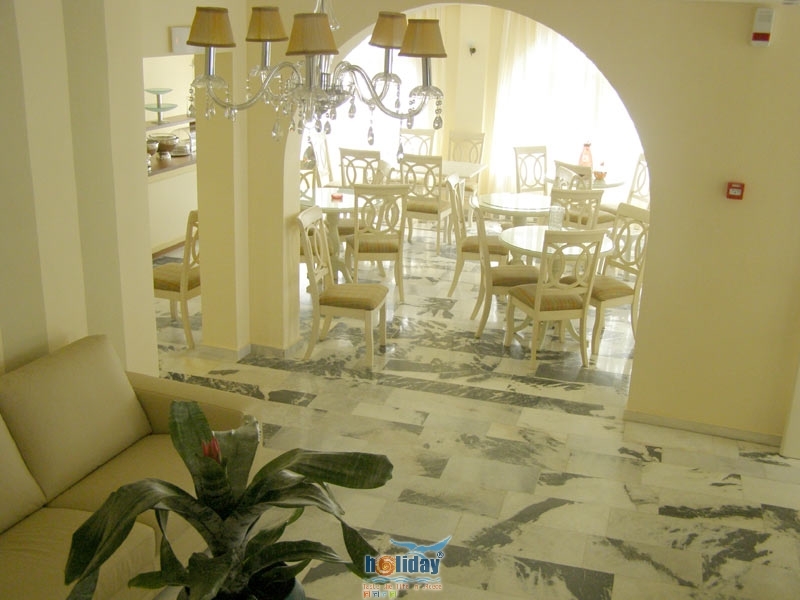 It is a beautifully stylish decorated family run accommodation that offers warm, friendly and family atmosphere to make you feel you are a member of our family. 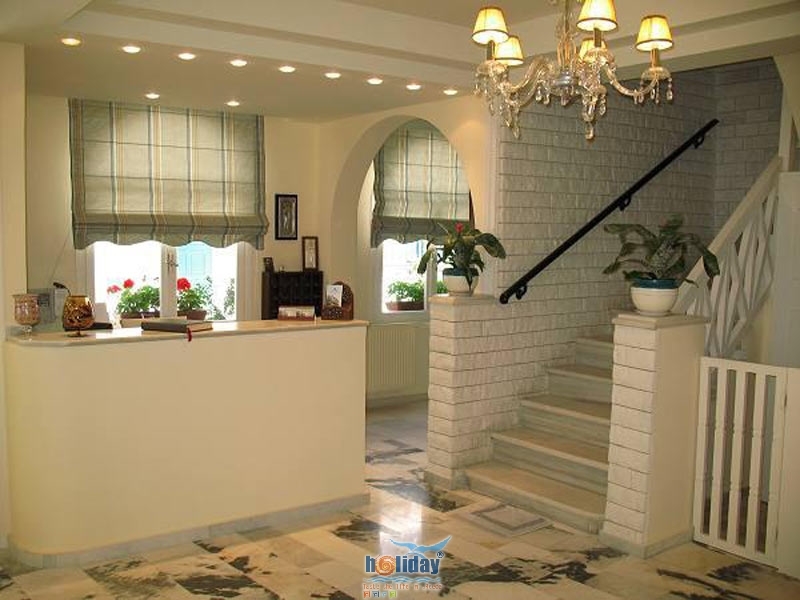 Hotel Kymata offers a choice of rooms and apartments (with 2 rooms) in pale pink and green colours as well as traditional classic style. 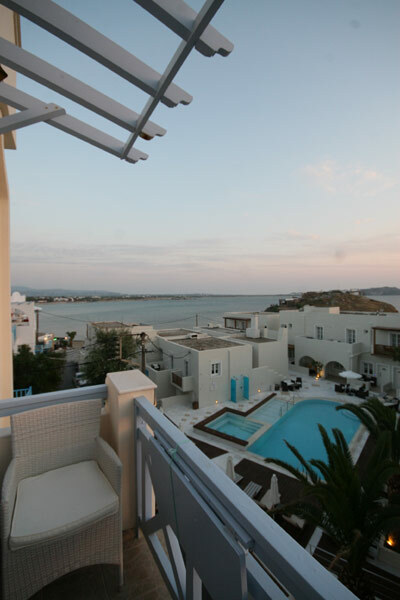 Two of the apartments are on the top floor with terrace offering magnificent view to the magic blue of the Aegean. 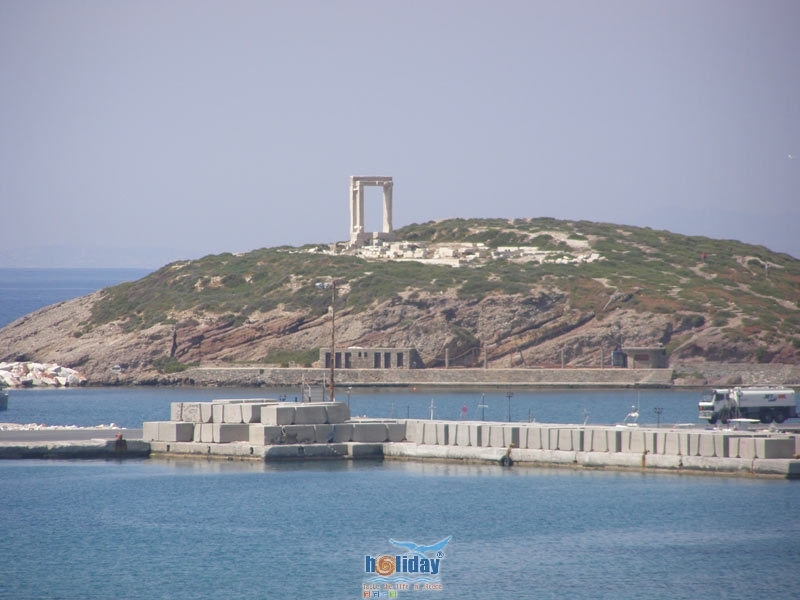 Naxos Island is the largest island in Cyclades and it is one of the most beautiful among the Greek Islands. 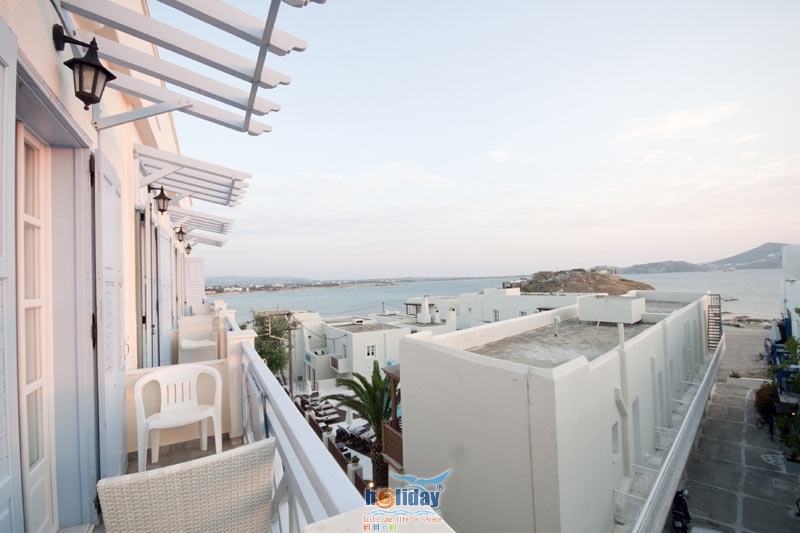 Saint George Beach at Naxos Town (the capital of Naxos) is the most famous resort in Naxos Island. 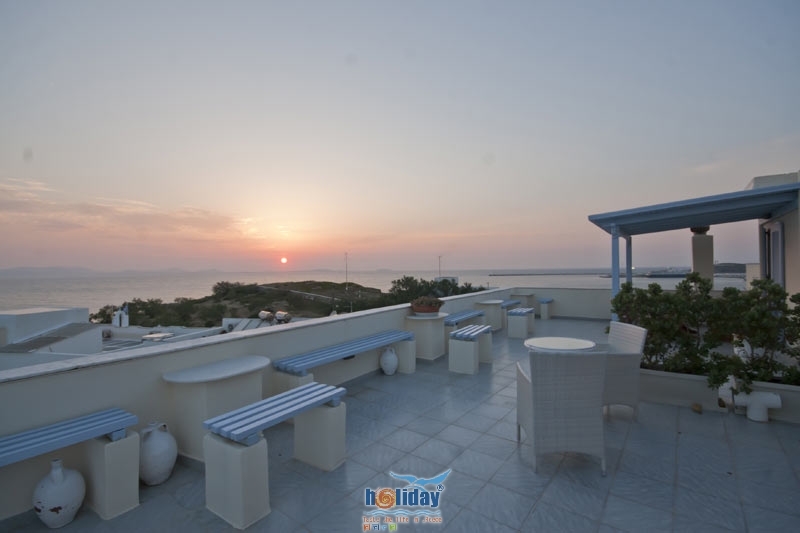 It is located at the so named bay and it is over one kilometre long with fine sand and shallow waters which makes it safe for kids and ideal for families. 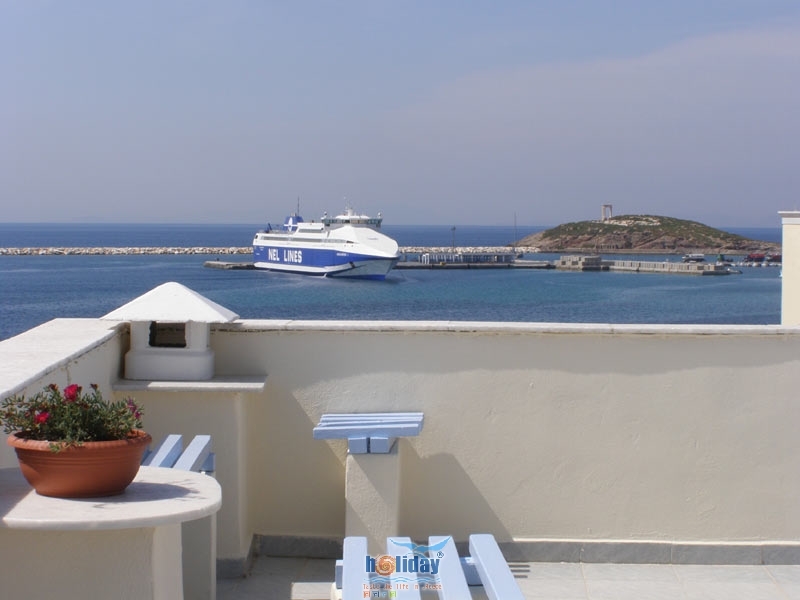 Water sports facilities are also available, from wind surfing facilities (there is high standards a training centre too) to pendaloes and beach volley.